The Rollins Center is dedicated to comprehensive literacy and the construction of the reading brain – for every child. Rollins’ instructors work with educators, healthcare agencies, families and child-facing professionals to further literacy through coaching, professional learning and online learning. Through this work, Rollins is building ecosystems that are conducive to literacy – where connection is valued over compliance, children feel safe and supported, deep reading is enabled – and the possibilities for every child’s future are opened through literacy. With the ultimate goal of eradicating illiteracy, Cox Campus provides equitable educational opportunity access to every child – regardless of race, zip code or ethnicity. Rollins applies the philosophies and practices of the Atlanta Speech School and amplifies them outward through the Cox Campus – a free, universally-accessible online resource and community for educators, healthcare agencies, families and child-facing professionals. Cox Campus presently has members in 42 countries and all fifty states. Generational lack of access to educational opportunity has created a public health crisis in Georgia and across the nation through an epidemic of illiteracy. In the first years of a child’s life, language and speech form the primary avenue for reading brain construction, setting the stage for success throughout school years and beyond, ultimately leading to the ability for each child to decide their future and make the most difference in the lives of others. The Rollins Center aims to transform these children’s futures. Each program at the Atlanta Speech School shares its 80-year mission to help children develop a reading brain through language and literacy. 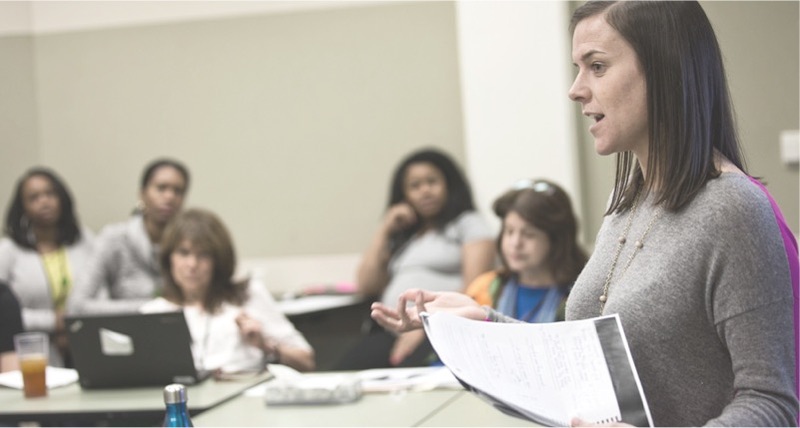 For over a decade, the Rollins Center has provided professional learning and coached teachers throughout Georgia to extend the mission of the Speech School to every classroom in Georgia. Rollins’ blends the nation’s leading best research on how to build a child’s language, vocabulary, critical thinking skills and reading comprehension in children 0 through third grade with mentoring and coaching to ensure every educator, healthcare professional and childcare agency has the deep knowledge to build meaningful relationships with children and provide the language and reading foundation every child needs to succeed. Cox Campus allows the mission to extend even further. A generous gift from the Cox Foundation has enabled the Rollins Center to expand its reach beyond the state of Georgia. Science tells us that every person who cares for and educates a child from birth through third grade plays a vital role in their life and literacy. With the single goal of eradicating illiteracy, the Cox Campus applies current neurobiological and social-science around making the most of early brain development through meaningful relationships with children, through a universally accessible platform. Cox Campus online classes, tools and resources are available for members to gain the necessary skills for building the ecosystems needed for children to thrive in language, literacy and life. Want to know more about how the Rollins Center and how we support teachers, caregivers and families to develop the ecosystems that foster the construction of children’s brains? Contact us for more information.